ESPN’s 2018 College Baseball Television Schedule Comprises Record Number of Regular Season Games - ESPN Press Room U.S.
ESPN will showcase more than 800 NCAA baseball games during the 2018 regular season across ESPN’s networks, including a record 161 games slated for television. During the postseason, on top of carrying five conference championship games and the entire Southeastern Conference tournament, 153 games will be telecast across ESPN, ESPN2, ESPNU, ESPNEWS, Longhorn Network and the SEC Network and available on the ESPN App. In addition, the ESPN App will exclusively stream more than 450 games in 2018. More than 75 percent of the televised games include a team in the USA Today Coaches Poll Top 25*, while 76 games feature the preseason Top 10 and 29 games highlight at least one Top 5 team. Twenty-three of the preseason Top 25 will appear on ESPN networks during the season. ESPN is coming off one of the most-watched College World Series telecasts in history, achieving numerous total live audience viewership highs and shattering streaming records over the 10 days in Omaha. The two-game CWS Finals was the second-most watched sweep in the event’s history. ACC Mondays Kick Off Conference Coverage: ESPNU and ACC Network Extra will once again team up to showcase a battle among ACC opponents most Mondays throughout conference play, including No. 21 Clemson hosting No. 5 Florida State on Monday, May 7. Florida State and Boston College will face off at Fenway Park on Saturday, April 21 on ESPNU to honor former Eagles captain Pete Frates in the Seventh Annual ALS Awareness Game. Frates was diagnosed with the disease in March of 2012 and ticket proceeds from the game will benefit the Pete Frates Home Health Initiative. 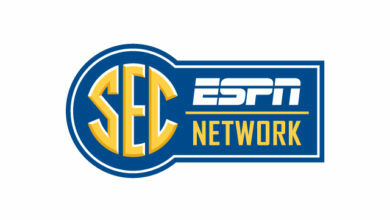 SEC Network Showcases 76 Games: SEC Thursday Night Baseball continues on ESPNU and SEC Network, featuring a preseason Top 25 team nearly every week of the regular season. In addition, the SEC Network schedule also airs a Bases Loaded special on the opening night of conference play, March 16, and will team up with ESPNU to televise the final weekend of conference action, May 17-19. Big 12 Bolstered by Big Matchups: Once again, ESPN expands its coverage of the Big 12, televising its largest selection of Big 12 matchups across all ESPN networks. One of the most anticipated conference showdowns of the season will air on ESPNU, as No. 4 TCU welcomes No. 3 Texas Tech to Fort Worth on April 28 and 29. Hook ‘Em: Longhorn Network, the home of Texas baseball, will televise more than 30 home games this season including major contests against No. 16 Stanford (March 8-11) and No. 4 TCU (May 18-19). LHN adds a dozen Big 12 matchups to ESPN’s overall conference coverage and the No. 20 Longhorns will appear on ESPN networks a total of 39 times, starting with the Texas Alumni Game on Saturday, Feb. 3. Championship Central: American, ACC, Big South, SEC and SWAC Championship games will all air on ESPN2, ESPNU or ESPNEWS. Home of the Postseason: ESPN will cover up to 153 postseason games beginning with NCAA Regionals. ESPNU starts the slate with the NCAA Baseball Selection Show on Monday, May 28 at noon. Complete postseason coverage will be announced at a later date. ESPN App: The network-leading 450+ game schedule for streaming on the ESPN App begins in February, with action surrounding 13 different conferences — Atlantic Sun, Big 12, Big East, Big South, Big West, Horizon League, Ivy League, Metro Atlantic, Mid-American, Missouri Valley, Southern, Southland, Sun Belt and Western Athletic. Studio shows and on-air commentators, as well as a full streaming schedule, will be announced at a later date.